Tara was suppose to come in heat January and of beginning of February still no signs.....waiting "patiently" and she will be bred.....if you are waiting for a puppy please be patient and if you are interested in a pup or don't want to wait please get in touch with me at 916-812-2380. All puppies are sold....I will be updating this site soon ...thank you for your interest!! Blue girl 6 weeks 4 lb. 2 oz. 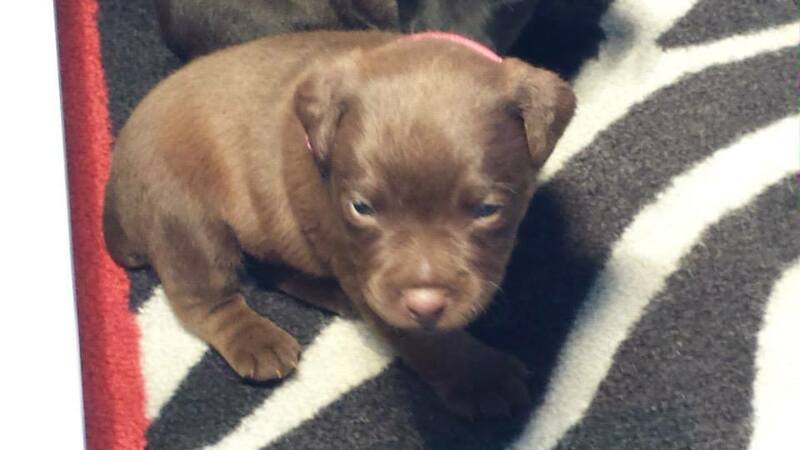 Chocolate girl 3 lbs. 2 oz. Chocolate boy 3 lb. 2 oz. Black boy 3 lbs 6 oz. 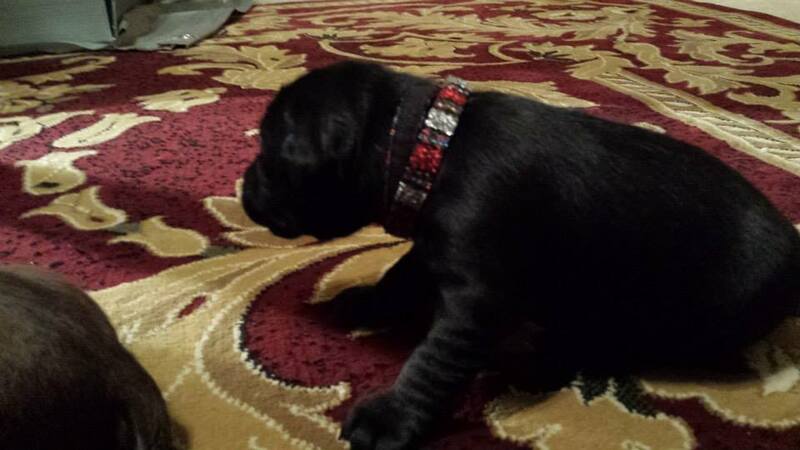 I am also keeping the "red collar" girl, my granddaughter Mya and I are co owning her.....Mya will do all the showing, training and working....her name is TERROR'S TOVAH OF OAKLEAF and Mya named her "TOVAH"
Red girl 3 lbs. 4 oz. Black male 3 weeks 1 lb. 12 oz. 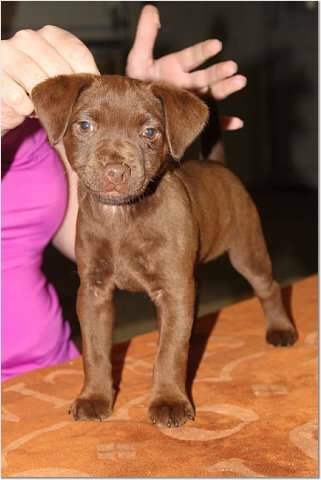 Chocolate male 3 weeks 2 lbs. 4 oz. Blue girl 3 weeks 2 lbs. 4 oz. Red girl 3 weeks 1 lb. 11 oz. 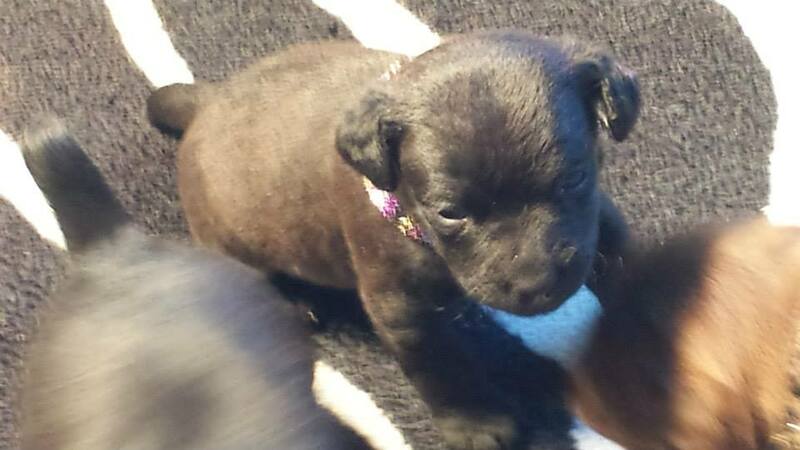 Purple female 3 weeks 1 lb. 7 oz. 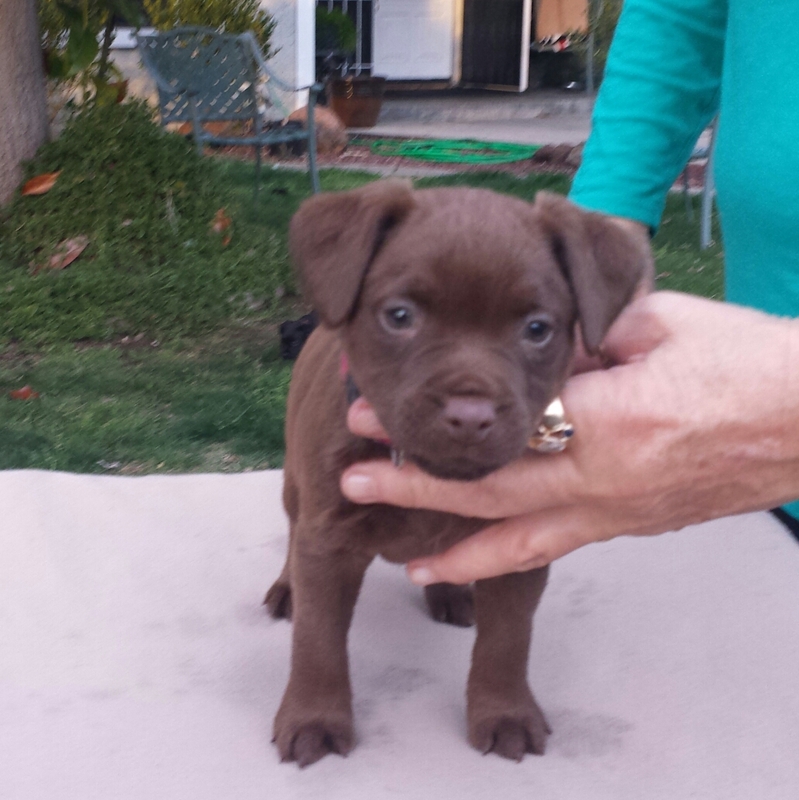 Chocolate female 3 weeks 1 lb. 13 oz. all healthy, fat and very squirmy! 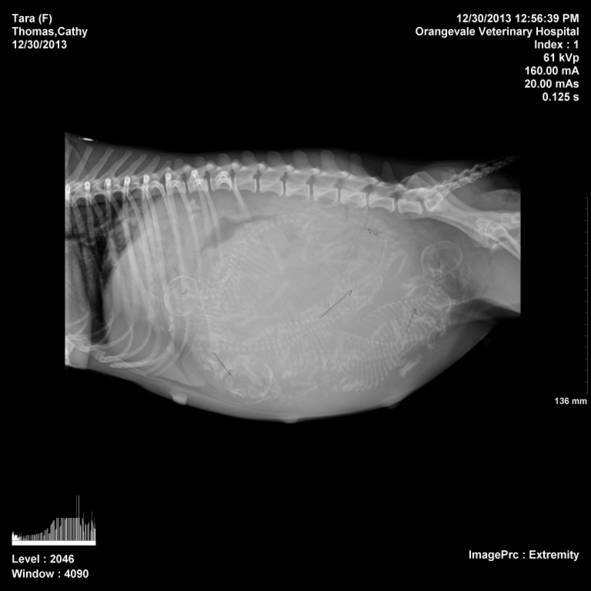 5 puppies for sure and possibly 6!!! Mack is a UKC Grand Champion, has titled in UKC Weightpull and has done terrier racing. If you are interested in a puppy from this breeding please fill out the questionnaire at the bottom and either email to: presas4me@sbcglobal.net or fax to me at 916-652-9624...thank you!! 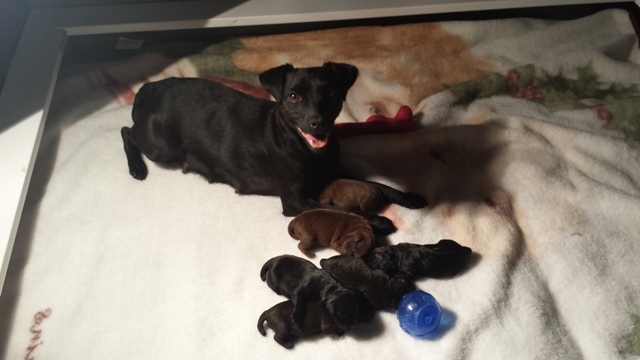 Thank you for inquiring about my Patterdale puppies. I am a dedicated owner who participates in various dog related events. 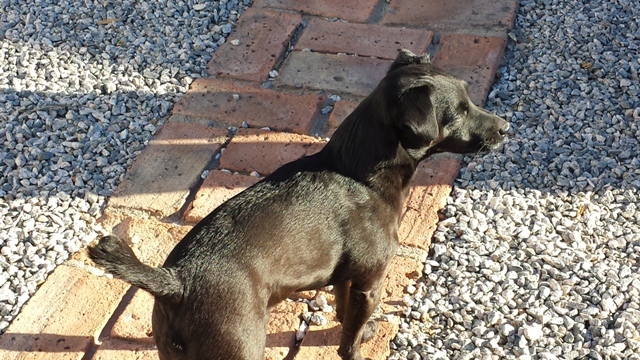 I breed occasionally to produce what I believe to be quality Patterdales that conform to the breed standard, are intelligent, and able to do what the Patterdales was meant to do -work. I also focus on doing all I can to produce physically and mentally sound dogs. Through competitions, I am exposed to other points of view, educational programs, updated rules and regulations and more importantly have an opportunity to share concerns, information and ideas with other concerned and knowledgeable dog people. 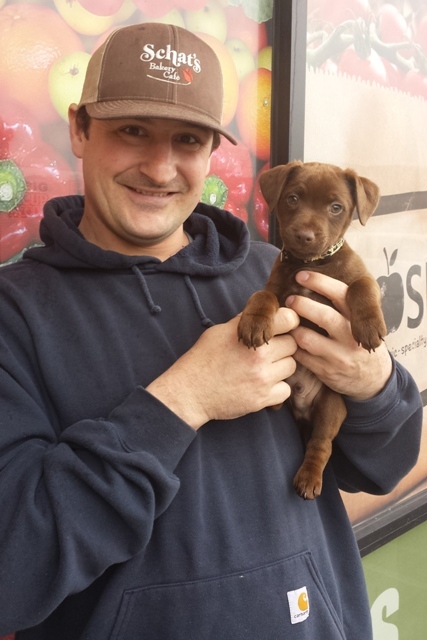 When I have litters, I make sure my puppies are sold to loving committed homes. I do my best to screen the owners to ensure a good match between the puppy and the buyer. 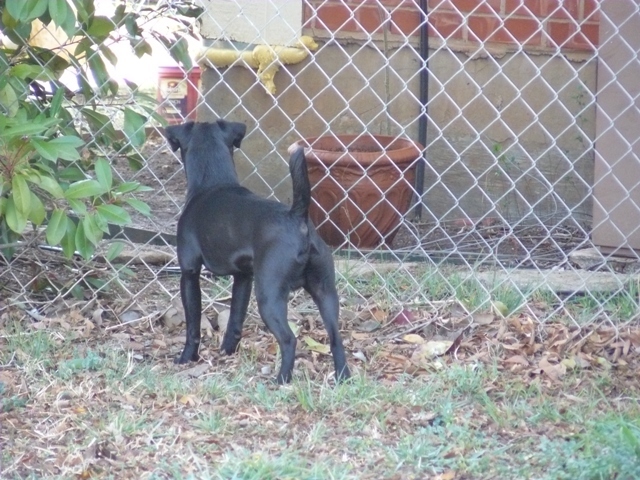 Before the puppy leaves our home, it has been well care for and socialized. The puppy does not go to it's new owner as a trained, well-mannered finished product. 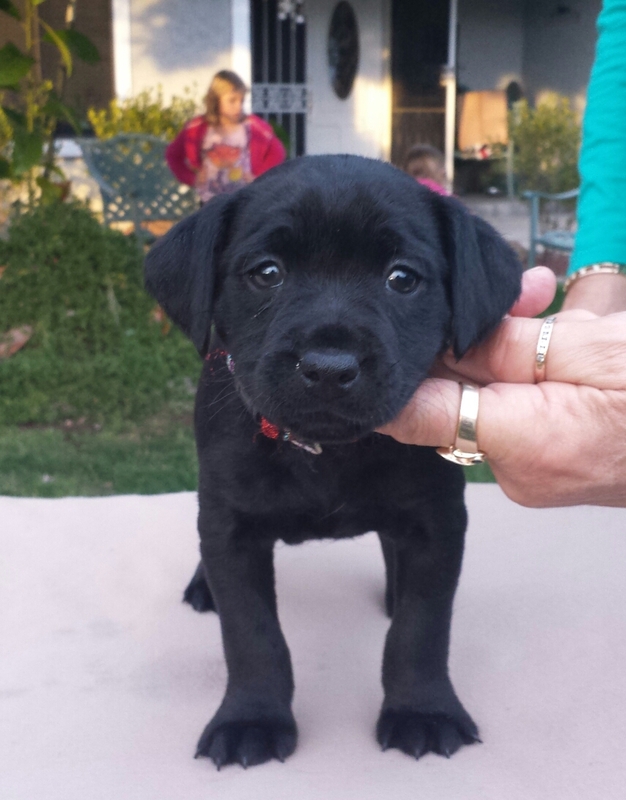 It is up to the puppy buyer to complete the job I have started. 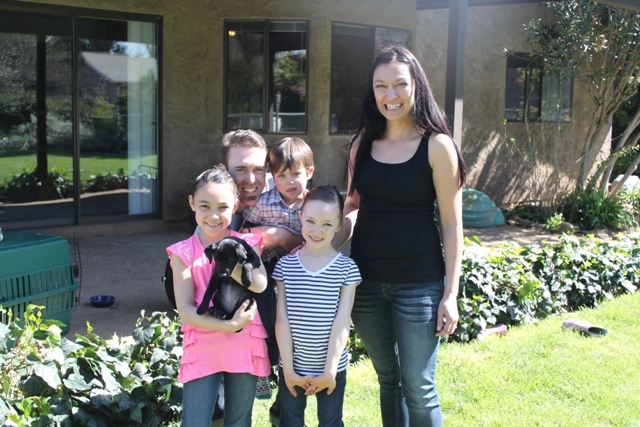 The new owner is responsible for the further development of the puppy’s personality, through structured discipline, training, guidance, and love. In an effort to ensure that my puppies are going to receive the love and care they will require throughout their lives , I ask all potential buyers to complete this questionnaire. If you wish to be put on my waiting list you must complete and return the questionnaire to me. As much as possible I attempt to evaluate each puppy’s personality by observing them during their development. And as much as possible I attempt to match the puppy to the buyer to produce the best fit of puppy and family. Prior to taking the puppy home you will be given information on training and care of your puppy and a list of the proper equipment and supplies to obtain prior to bringing your puppy home. At the time you purchase your puppy you will be given a completed sales agreement (which you must sign), I will fill out the UKC papers which I will mail from here, parents health certifications, our health records, the puppy's microchip information as well as any additional information that we feel may be needed. I make every effort to ensure that my puppies are free from inherited defects, by screening perspective breeding stock for those problems common to our breed. However due to complex genetic interactions and environmental factors beyond our control we cannot guarantee that a puppy purchased from us will be free of genetic disorders. Please see the Puppy Guarantee for more information. 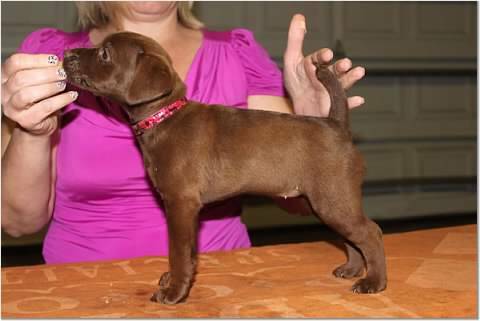 Please research Patterdales before commiting to buy one. Do not make the mistake of buying ANY puppy on impulse. It could be the worse mistake of your life, and cost you and the puppy months of sorrow. A puppy is a cute little bundle of fur. 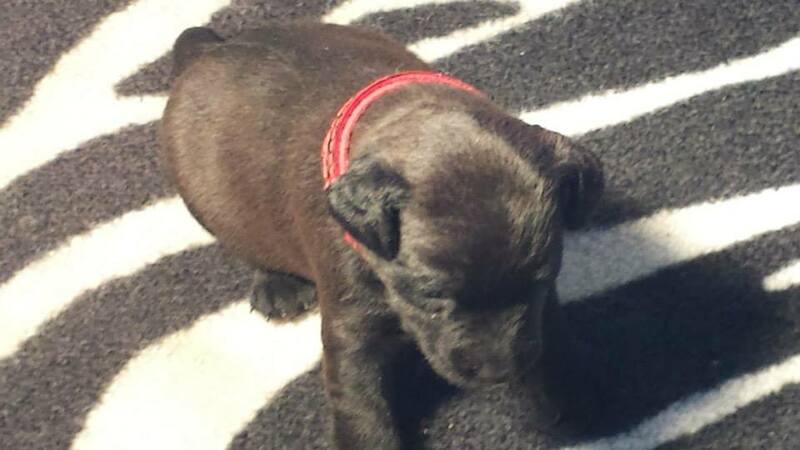 A Patterdale is only a cute little puppy for a few short weeks. 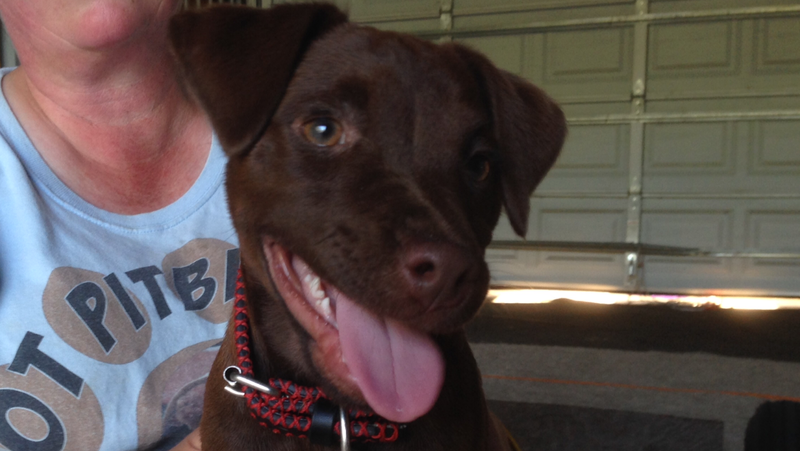 These questions may seem tedious, but they do help us find the best homes for my puppies. Thank you. A specific color do you want? Would you consider a puppy of another color if your color preference is not available? When were you planning on getting a puppy? 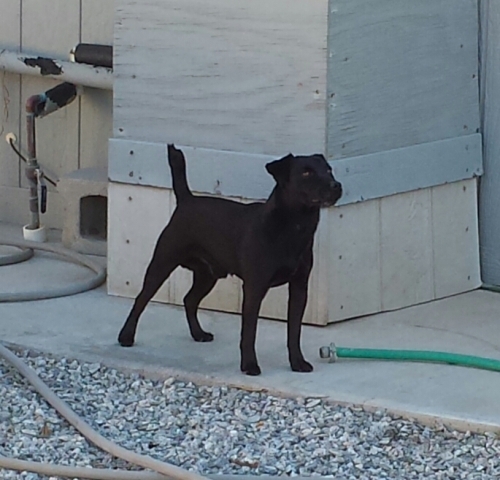 For what purpose(s) are you interested in a Patterdale (pet companion/working)? Are you prepared to care of a dog for 10-15 years? Please list the ages of your children, if any. Are your children (if any) okay around dogs and other animals? Do you plan on moving anytime soon? Are you an active military family? Is there someone home during the day, or able to get home to "potty" a puppy? Where will this puppy spend the day? 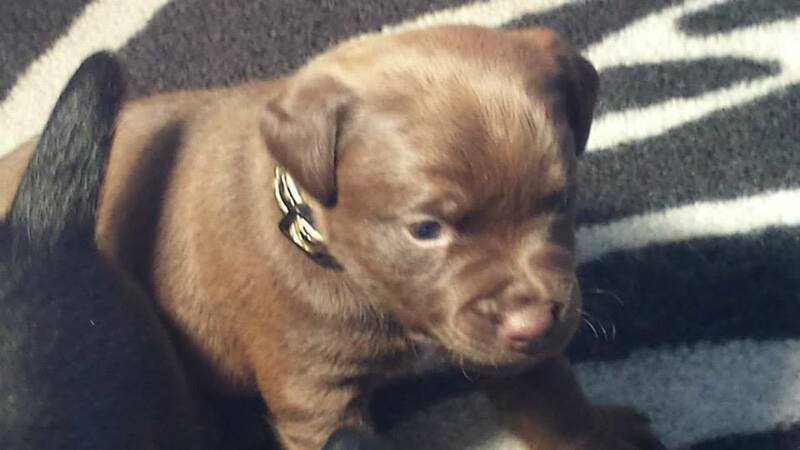 Will this puppy have regular contact with its family during the day? Where will this puppy spend the evening? 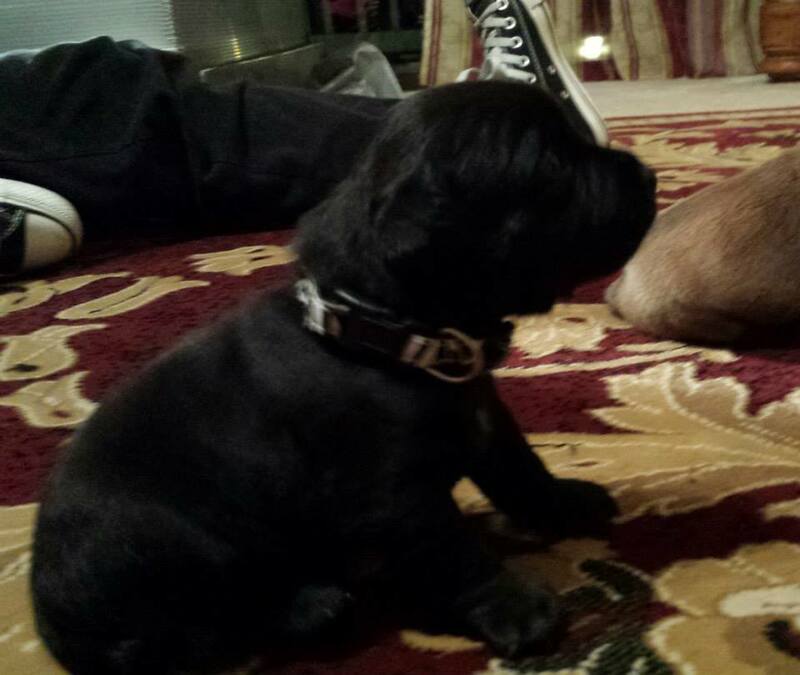 Will this puppy have regular contact with its family during the evening? 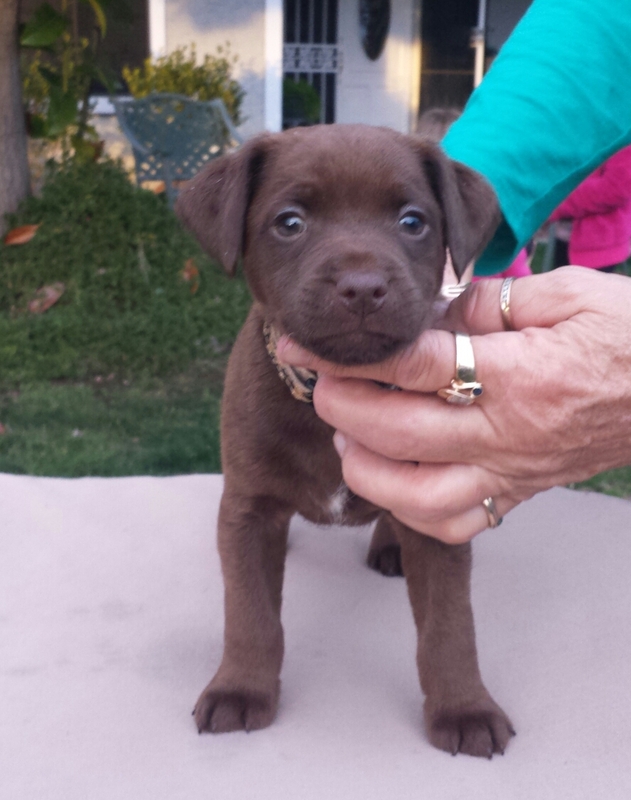 Are you willing to attend group puppy training classes with this dog as a condition to adopting one of our puppies? Have you ever owned aPatterdale before? What attracts you to this breed? 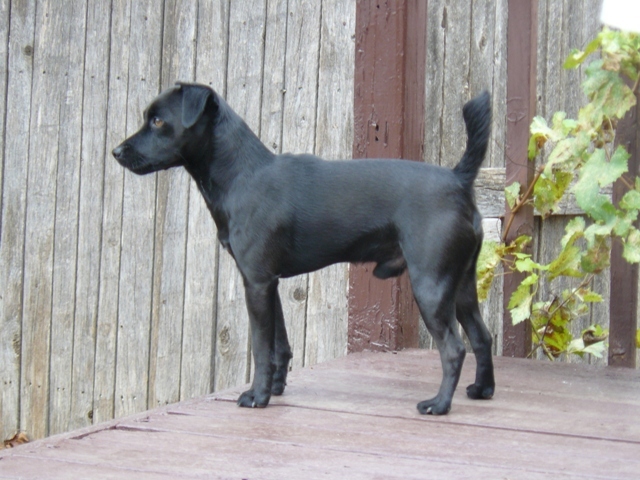 What don't you want in a Patterdale? Do you still own the dog(s) mentioned above? If not, what happened to the dog(s)? If any of the dogs owned are deceased, what were the circumstances? Have you or a neighbor lost a dog to parvo within the past 3 years? Who will have primary responsibility for the care of this puppy? 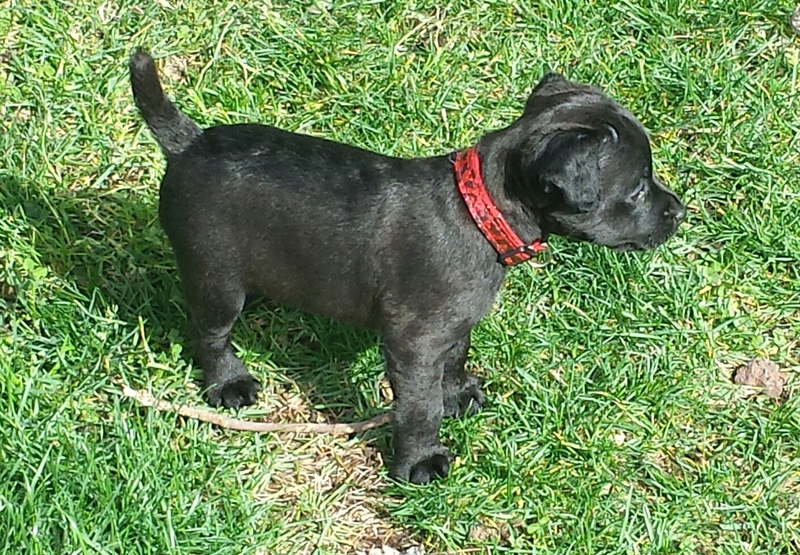 Do all family members agree on the addition of a Patterdale to the family? 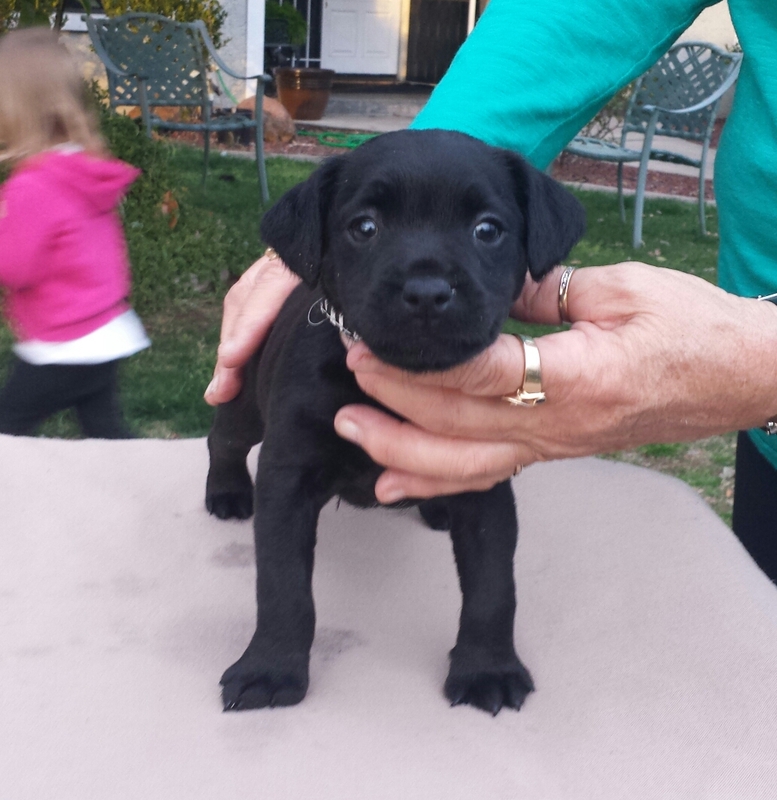 If not, who is not in favor of getting a Patterdale and why? Do you mind if we contact them for a reference? Have you ever given up a dog to a shelter or pound? Have you ever been charged with animal abuse or neglect? What type of personality are you looking for in your dog?